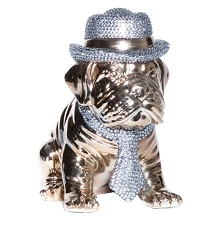 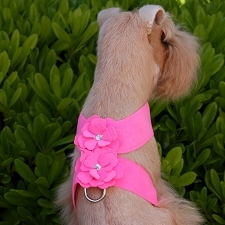 Tinkie's Garden Swarovski Crystal Step-In Dog Harness by Susan Lanci. 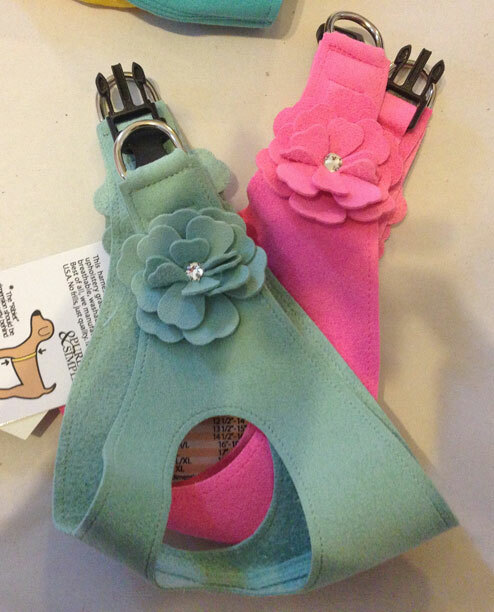 These flowers look so beautiful you can almost smell them! 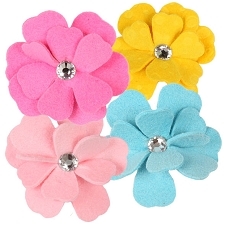 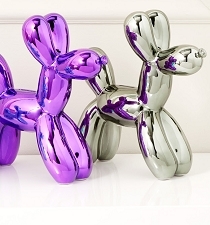 The hand-crafted flowers are multi-layered, giving them an attention grabbing 3-dimensional quality. 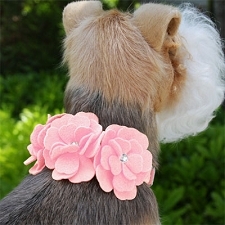 To finish them, the center of each flower is accented with a glimmering Swarovski crystal. 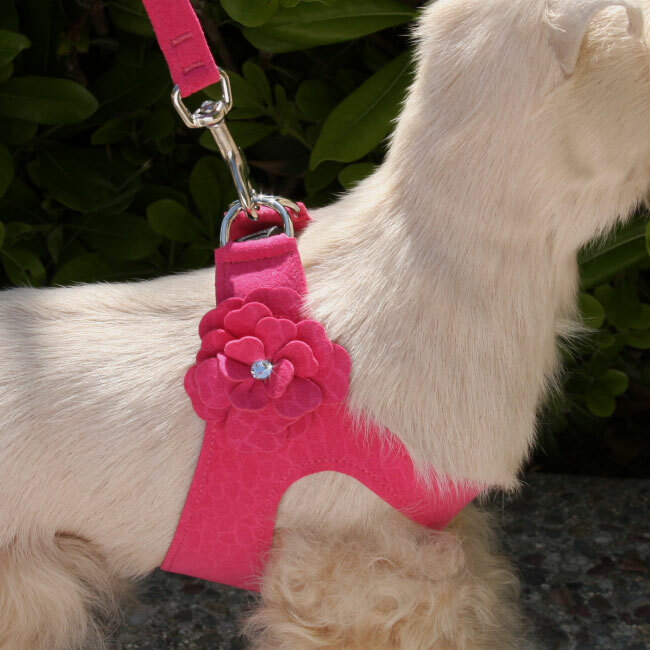 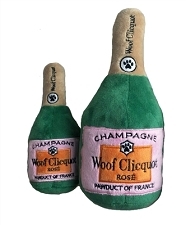 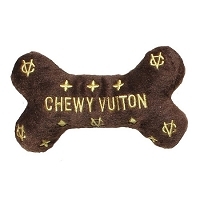 This is just the product for those who want convenience and no-choke comfort for their dog. 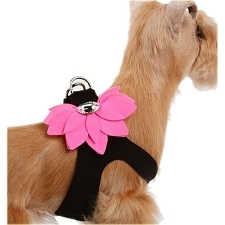 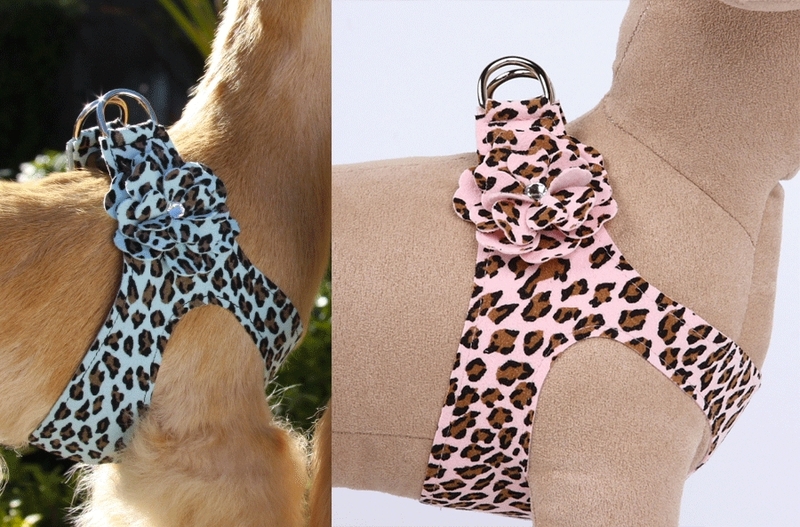 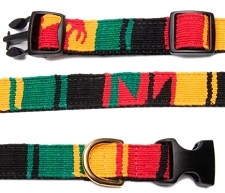 The harness fastens by a single quick-release buckle located above the dogs’ shoulders. 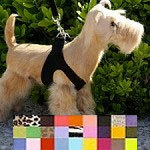 The harness is cut well below the dogs’ neck so the pulling is across the shoulders and not the neck. 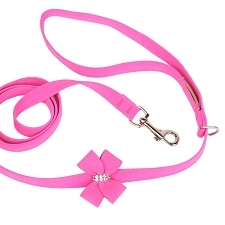 The end result is no-choke comfort for the dog. 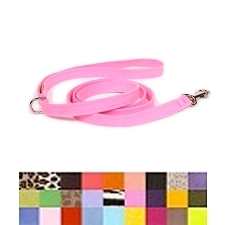 This soft, comfortable ultrasuede fabric is breathable, washable and colorfast. 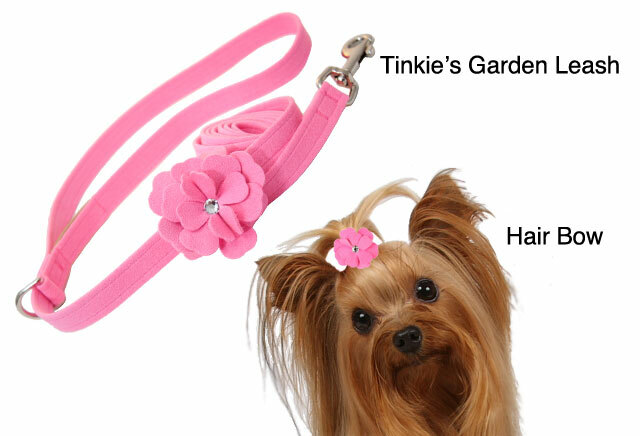 Manufactured in the USA. 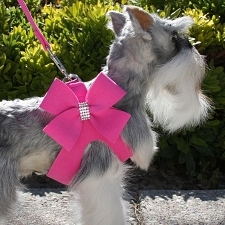 Matching collar, leash & hair bow are available. 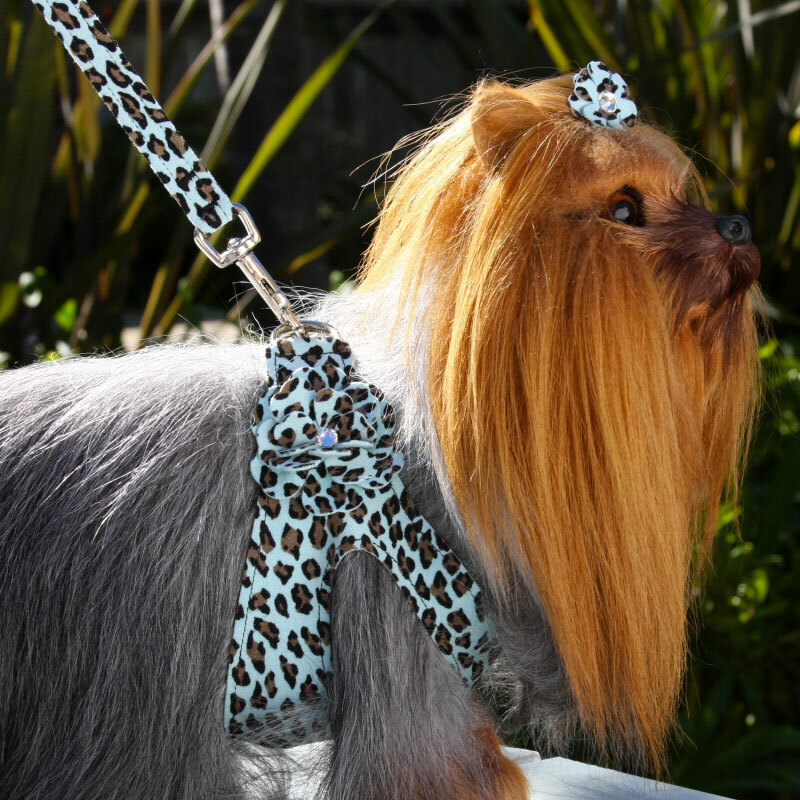 Don't forget to add the matching leash and hair bow!